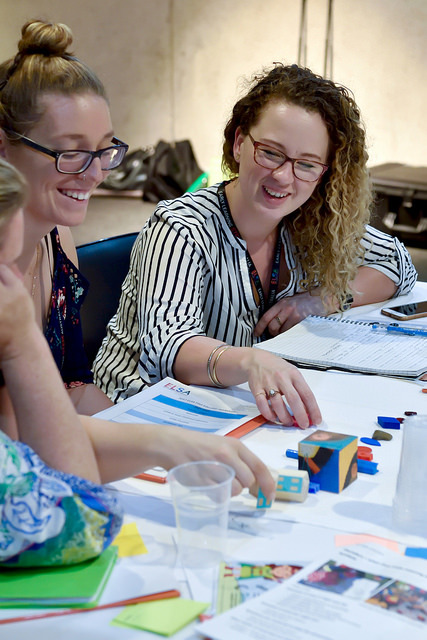 19 December 2017: Early childhood educators from across Australia have been learning new ways to introduce pre-schoolers to STEM (science, technology, engineering and mathematics) concepts with the University of Canberra’s STEM Education Research Centre (SERC). 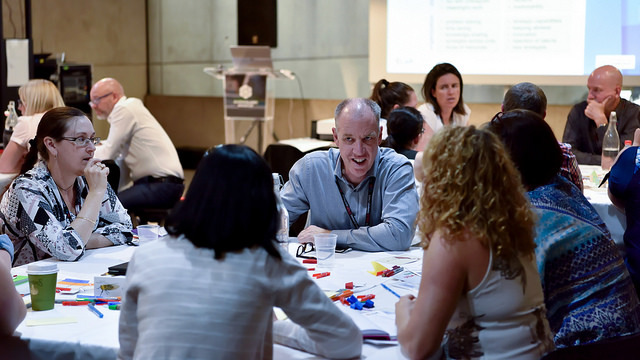 Professor Tom Lowrie led the workshops with SERC colleagues and educators from 100 early learning centres from around the country. Photo: Supplied. The ELSA program is developing educational apps which will help fuel children's interest and understanding of STEM concepts. Photo: Supplied. The training is part of the Federal Government’s Early Learning STEM Australia (ELSA) pilot program, which is scheduled to commence next year. The program aims to develop apps to engage pre-schoolers and encourage real-world play and STEM learning opportunities. STEM education in the early years focuses on developing an understanding of patterns and relationships, designing, making, and the promotion of spatial reasoning and problem solving. University of Canberra Centenary Professor Tom Lowrie, Professor Rob Fitzgerald and Assistant Professor Kym Symoncini led the training sessions to introduce educators to the concepts and the apps which are currently in development. Professor Lowrie said the participants took a lot from the first series of workshops. “The educators were passionate and enthusiastic, demonstrating high levels of professionalism and engagement,” Professor Lowrie said. “We intend to establish a strong supportive network of early learning professionals so they can share new ideas, experiences and success stories among themselves, to ensure ELSA is sustainable into the future. “Although there is a focus on the use of digital technologies and apps, the ELSA pilot is situated within the children’s play-based experiences, with authentic and contextualised teaching opportunities developed for learning that can take place without app-based engagement”. A hundred early childhood learning centres from around the country participated in the workshops and will take part in the ELSA pilot program in 2018. More information can be found at the ELSA Pilot website.